! At the heart of each massage is the honest gift of caring and compassion that we offer. Massage.Me treats with love, care and respect all visitors. Think of a shelter, where you can leave your problems behind, rejuvenate your body and reboot your mind. Relax after a day of hard work, exhausting city exploration or a long day of doing nothing. We offer massage services designed for your individual needs. Combining Eastern and Western philosophy, we focus on massage types that achieve balance for a tired body, mind and soul. We believe that massage should be a daily habit for everyone, not just for the few. That’s why we offer services with flexible durations for all busy bees at the best rates. At Massage.Me you get to experience what relaxation really means. Always remember, someone busier than you is getting a massage right now. Make time for yourself. Our massage is truly unique. Whether this is the first time you get a massage or your the type of person that gets massaged three times a week at Massage.Me, be sure that it is unique each time. Why? Because you and your needs are unique. 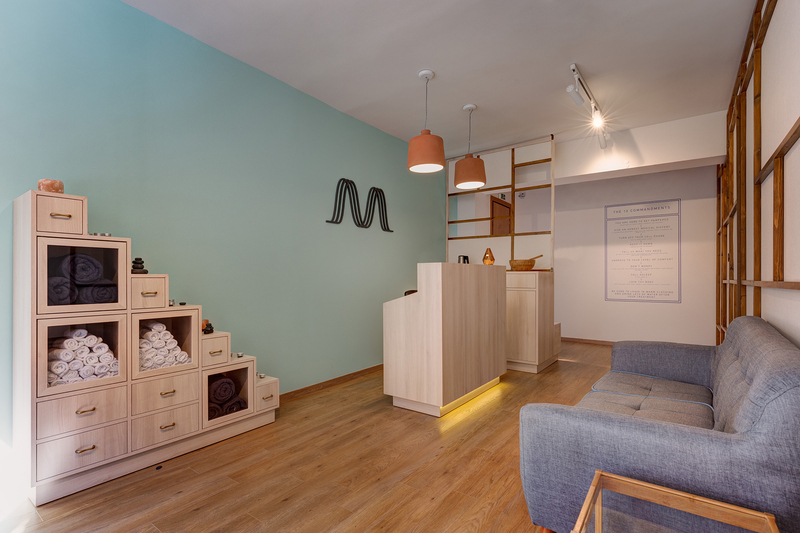 A visit at Massage.Me is more than than just a treatment. It’s an experience. Your Massage.Me therapist is a super-hero. Or even better YOUR superhero. Brings peace in troubled and busy minds, releases your tension, helps you detox your body, relaxes you, and delivers to you their enthusiasm for life. Discovering where your body needs to be massaged and why even if you don’t realize it can be added to the above superpowers as well. Making you feel like you’re at home. Imagine a place where you feel welcome and accepted. The place is carefully designed and minimally decorated to get your mind in reboot mode from the very first moment. You and your body don’t need four walls, you need a fortress and a healer. Every corner triggers each and all of your senses at once. Massage.Me is the place that addresses senses and soul. The perfect place to rejuvenate your body and reboot your mind. This massage is about stretching and exercising pressure in specific spots on your body to achieve flexibility and rejuvenation. You get a 10% discount for the Garden Bar after every massage session, within a 10-day period of time. Lymphatic massage: 1 out of the 6 massage sessions is on the house, along with the tea. Lymphatic massage: 2 out of the 12 massage sessions are on the house, along with the tea.